If you are looking to add living space to your home or update your current interior, property extensions in Cornwall are the best option. E H Reynolds & Son provide several types of property extensions which will not only improve the design of your home but will also add value with each extension tailored directly to you. With every extension we install, you have complete control over the design and layout as well as any unique features you would also like. We follow every design brief perfectly, making sure your final project meets all your design requirements and fits in with the current style of your property immediately. Our extensions can use a range of materials to give you a fantastic new style within your property. This includes timber frame construction, glass box extensions and modular extensions and we can always discuss the different materials available for your design. With several different property extensions available, there is a range of options for you when you decide to renovate your home. Our tradesmen are fully qualified and have experience with all property extensions in Cornwall. If your home is beginning to wear or no longer gives off the same stylish design it once did, extensions will ensure your style can be restored. Amendments can be made to any property and we will always keep your property in great condition throughout a project. We want to ensure you are left fully satisfied by all construction work and will always complete property extensions to the highest standard. E H Reynolds & Son have over 35 years of experience in our team and since being established in 1946, have provided a number of property extensions in Cornwall. Having completed many projects in this area in the past, we are happy to complete any construction work you require whilst offering a fast response to all clients. We will work through the design, construction and finishing touches to leave our clients fully satisfied, as we aim to grow our reputation and become the first choice for clients in Cornwall. With a wide range of extensions and renovations available to you, your dream home can always be created with our services. You can always depend on our team as we are fully qualified in all property construction work, whilst adhering to health and safety guidelines. 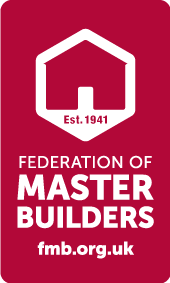 Our team also have public liability and risk employers insurance, along with memberships in the Federation of Master Builders and the NHBC. If you would like to discuss the property extensions in Cornwall that we have available, speak to our team today. We are happy to advise clients regarding any construction work you would like completed and book a suitable time for consultation or construction to begin. Call now on 01326 563611 or 07887 600414 or fill in our contact form to make an enquiry.